Whenever you prepare fruits and vegetables, it’s important to check the outside for holes and blemishes. 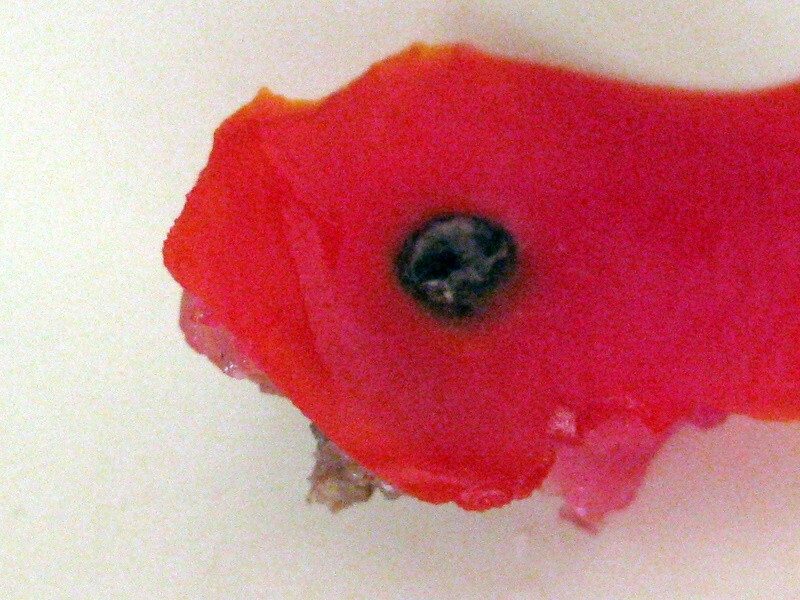 Sometimes a large, angry-looking discoloration can be just on the surface and cut off with the peel. It usually means that the fruit was scratched or scraped somewhere along the way. 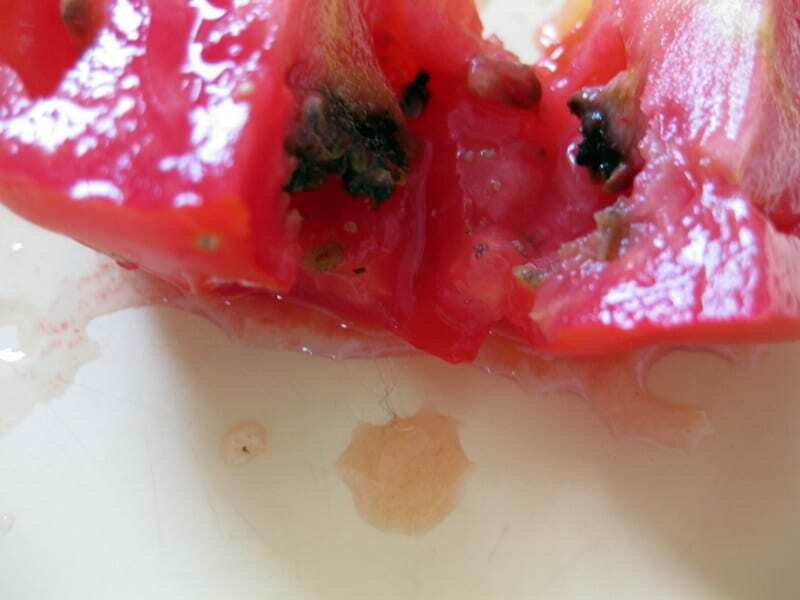 But other times, an insect or worm can dig into your fruit through a small hole and ravage the insides. That’s what happened with this ripe, red tomato. Something had gotten inside this one and I had to throw out about a third of the tomato. It was so disgusting I wanted to toss the whole thing, but the rest was delicious. Insects are smart—they often choose the best-looking fruit. Of course, I washed off the knife that had touched the black stuff. Ewww! I’m very impressed that you still used the rest of the tomato. Sometimes when veggies or fruit have a scary spot, I’m too grossed out to use the rest! Luckily the worst one was in my lunch, I made a nectarine cobbler yesterday before any of the others had a chance to go bad.